In the video below, Whitechapel guitarist Alex Wade plays the title track from Our Endless War, the band's latest album. Our Endless War was released in April via Metal Blade Records. 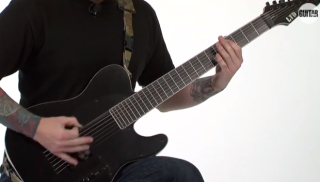 In this new video, Whitechapel guitarist Alex Wade plays and discusses his DiMarzio D Activator 7 pickups, his signature ESP guitar and the new Whitechapel album, Our Endless War.